Once in a while someone comes along who has a profound effect on the course of future history. Count Zinzendorf was one of those remarkable people. Born into nobility in 1700, he put aside a life of wealth, politics and privilege to follow God's call. He established a refugee settlement for persecuted Christians. This remarkable community experienced a powerful outpouring of the Holy Spirit which led them to a passionate concern for worldwide missions. Under Zinzendorf's leadership they set the stage for the modern missionary movement as we know it today. (1) Prophet of the Heart — Follows the young Count during his early years and when he first allowed religious refugees from neighboring Moravia and Bohemia to settle on his lands, leading up to the Moravian Renewal of 1727. (2) Count Without Borders — Profiles their pioneering mission movement that sent missionaries to lands as far apart as Greenland and South Africa. These were the missionaries that would inspire later leaders such as William Carey. (3) New Heart, New World — The controversial Count turns his attention to the American colonies, and especially to the native Americans. The Count himself visits America with much fanfare in 1742 and attempts to organize an ecumenical movement. (4) The Pilgrim Comes Home — Controversy erupts in Germany, and Zinzendorf's movement experiences a period of self-correction. theologians, historians, and modern Moravians from around the world reflect on the impact of Zinzendorf's life and thought. A four-part series. Includes 32-page resource guide in PDF. Fullscreen. Divided into four, 25 minute segments, the DVD "Count Zinzendorf" presents scholarly interviews, beautiful cinematography, and the stirring history surrounding "the rich young ruler who said yes." 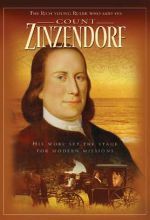 Though largely unknown today, in his lifetime Zinzendorf was very much a public figure and no stranger to controversy. Born into aristocratic privilege of the Holy Roman Empire, Zinzendorf showed marked interest in religious matters, particularly those pertaining to the Pietism movement and the state Lutheran Church. The DVD follows Zinzendorf's fascinating life from his inviting persecuted Moravians to live on his estate, dynamic spiritual guidance for all around him, the renewal movement which swept through many state churches at his time, his exile from and return to Saxony, the missions movement he began and nurtured, the emotional excess which crept among his followers and its correction, and his profound influence on many well known figures from church history. It is important to note that his emphasis on evangelism and a personal, spiritual relationship to Christ were largely uncommon for most of the established Protestant churches of the 17th century. His philosophy of missions was mature, even as it began. He insisted that missionaries learn the language of those they sought to reach and that they live among those people with righteousness and good works to exemplify a life lived with God. And in a time of slavery and xenophobia, Zinzendorf adamantly maintained that all races and genders were special to God, and none were superior. 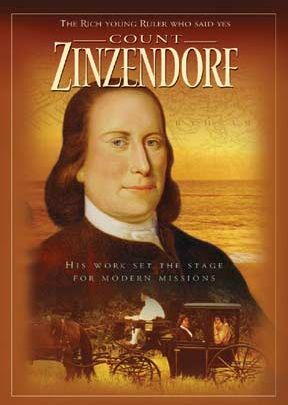 Zinzendorf is most closely associated the Moravian movement and oversaw the many Moravian missions projects in America and abroad. It is interesting that while other Christians came to America to escape persecution, the Moravians came for evangelism purposes This is an enjoyable DD and would make a welcome addition to any Christian library or home. This is an excellently produced documentary. I commend the producers very much. The documentary is excellent because it is honest in its assessment of Zinzendorf. It did not try to engage in "personality cult worship" as is the case with most documentaries on Christian figures. I have learned so much as a sociologist in watching the documentary. The documentary is divided into four parts and each part focuses on particular themes. There is something to be learned and inspired about Zinzendorf. He was well ahead of his time. The Moravians are a Christian movement that accomplished so much in terms of transforming themselves and the world. They have a global mindset, willing to use any privilege they have for the benefit of ordinary people, willing to engage in cross-cultural encounters with "so called inferior races," in the 18th century, but doing so with a sense of equality and humility. Zinzendorf himself is an inspiring figure and he lived by example given his noble background in Europe Germany to be precise, although this does not mean that he did not make mistakes. The documentary allows people from the non-Western world to speak for themselves about how the Moravians impacted them positively. The early emphasis on gender equality by the Moravians is amazing. There are many sociological lessons that can be learned from this documentary: the role of personality and leadership in shaping the evolution of a religious movement; the impact of the experience of the divine as perceived by believers and how that transforms them and that in turn leading to the transformation of society; the fact that persons of privilege can decide to use their privilege to uplift people who are otherwise treated as nobody; the role of historical and social context in how a mission or ministry is perceived, welcomed or opposed; how mission organizations and churches need faith as much as a strong economic footing in order to function very well; how religious movements go through series and stages of evolution and transformation; why there is a need for diversity of gifts in church leadership so that people can complement each other as Zinzendorf was complemented by practical men, given that he is more a man of vision, ideas and inspiration; what is the best method to communicate the message of the gospel or any new message for that matter in another culture; and should a new mission be rooted in a culture or remain in the hands of the groups that introduced the mission? Given our world today, this documentary is an excellent example of how the church can be a source of renewal. While this is a documentary about a towering historical Christian figure, one does not have to be a Christian before he or she can benefit from watching it. It can be used as an example of the importance of visionary, committed, and exemplary leadership and the significance of that for any organization or society and community. Zinzendorf did not just make his people sacrifice or put themselves in danger; he himself put himself in danger and sacrificed for the sake of the mission of the organization. While his work and life generated controversies, I did not find the controversies the type growing out of selfishness or self-serving personality. I recommend it to anyone interested in learning about a Christian movement that in my view represents many ideals and struggles of living out the true vision of Christianity in this world.